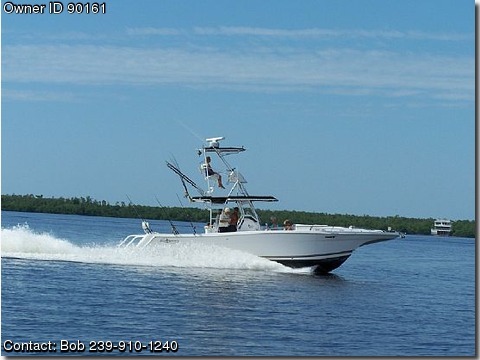 FUEL DIESEL, BEAM 12' 8"
BOAT IS KEPT ON A LIFT AND IS IN EXCELLENT CONDITION. PULSE SURFACE DRIVES, PROPEL IT OVER 40MPH. HAS A FULL TOWER, OVER 30 ROD HOLDERS.